My kids love salmon, especially when I put a nice sauce on it. 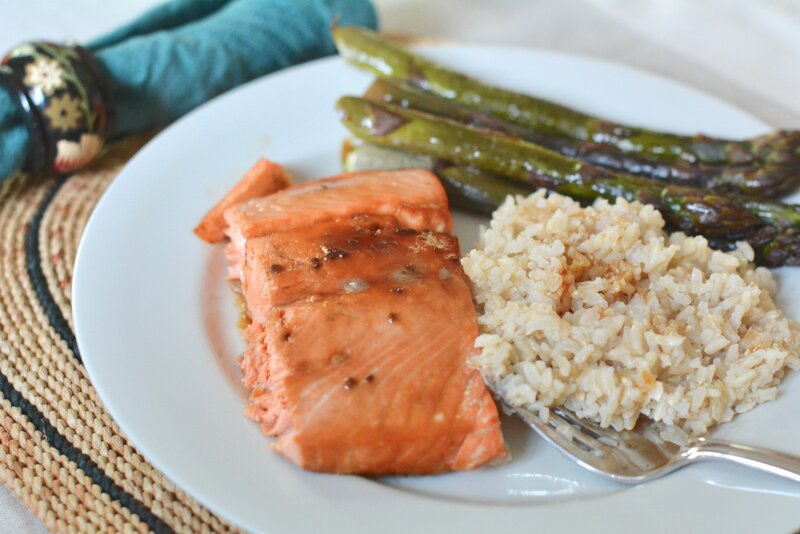 So, this quick and easy teriyaki salmon recipe is a family favorite. I give the fish a quick brush with teriyaki sauce, place it in the oven, and prepare some brown rice while it cooks. You can brush it with vodka or sake to keeps the fat from coming through when it bakes but it isn’t essential to the recipe. When it’s ready, I serve it up with grains, some vegetables, and a little extra teriyaki sauce drizzled on top. It is an extraordinarily easy meal that we all love and can be prepared in a snap! 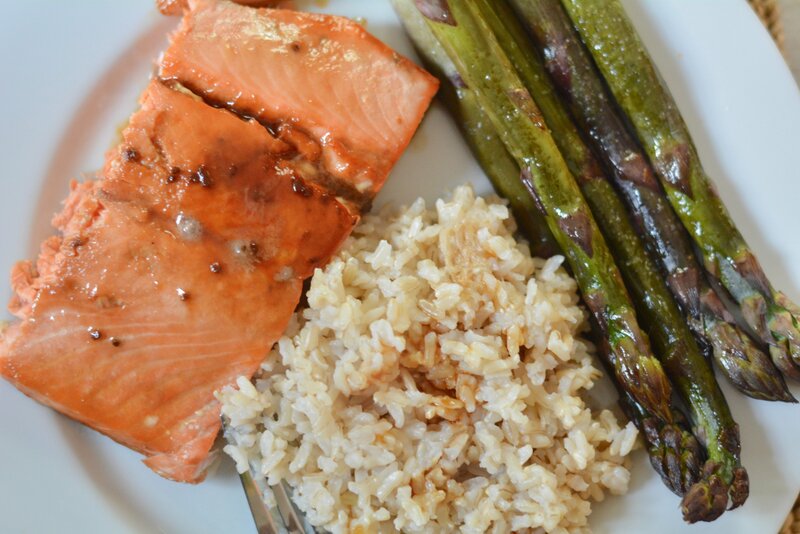 Want to make your own teriyaki salmon during a busy weeknight? Follow the recipe below! Here it is, the perfect quick and easy weeknight dinner. Step 1: Preheat the oven to 400 degrees F.
Step 2: Line a baking sheet with aluminum foil and place the salmon on it, skin side down. 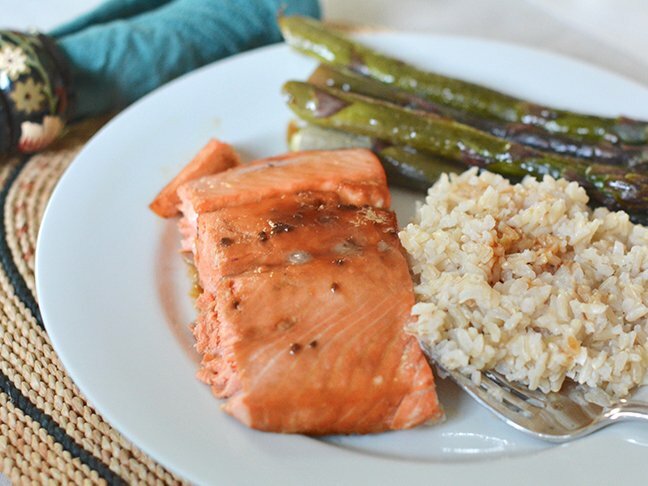 Brush the vodka lightly over the salmon to prevent the fat from bubbling up while you cook it. Don't worry, the alcohol will bake off. Then brush the teriyaki sauce on top of the salmon so that it covers the entire fish. Step 3: Bake the salmon for 12 to 15 minutes. Step 4: Remove from the oven, cut it into 4 equal pieces and serve it with grains and vegetables. Drizzle a little extra teriyaki sauce on top before eating.